Can a Felon Become an Air Traffic Controller? When it comes to getting a job after their release from prison, felons find it challenging. Felons may think no one will hire them, but there are resources available. This is an opportunity for felons to begin a new profession. Those with experience or interest in aviation may think about being an air traffic controller. 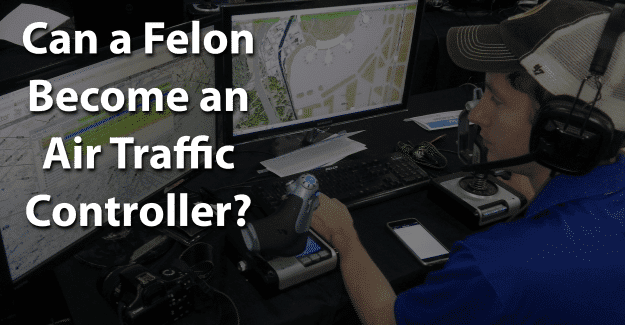 This blog post will address the issue of whether a felon can become an air traffic controller. What Education/Training Does an Air Traffic Controller Need? How Much Does an Air Traffic Controller Earn? An air traffic controller guides planes in the sky and on the runway using radar, computers, and visual technology that allows them to monitor air traffic in an area. It’s their responsibility to coordinate air traffic to ensure each flight takes off, lands, or flies through safely. Approach and departure controllers. Give clearance to aircraft in controlled airspace. En route controllers. Monitor aircraft along a flight path. There are two phases of training. The first phase is a program approved by the Federal Aviation Administration’s (FAA) Air Traffic Collegiate Training Initiative (AT-CTI). There are 36 schools approved to offer a degree to air traffic controller candidates. Someone who graduates from an approved program must pass the FAA bio-data assessment and the Air Traffic Selection and Training Test in order to continue training. Those who pass will continue their education at the FAA Academy in Oklahoma City for further course work and training with air traffic control simulators. Following this, a candidate must take and pass a knowledge and practical exam and complete on-the-job-training in order to receive the necessary certification as an air traffic controller. The entire process can take from five to eight years. The FAA typically wants candidates to have a college degree or at least three years of related work experience when applying for controller training. The U.S. Bureau of Labor Statistics indicates that there are approximately 24,900 air traffic controllers in the United States. The median annual salary for an air traffic controller in 2017 was $124,540. The median salary is the amount at which half of air traffic controllers earned more and half earned less. The level of earnings will depend on years of experience and region of the country. Those working in the Northeast or the Northwest typically earn more than air traffic controllers working in other areas of the country. This occupation is expected to show a 3% growth between 2016 and 2026, which is lower than average. The area of greatest need for air traffic controllers will be due to an increasing number of them reaching the mandatory retirement age of 56. As part of the air traffic controller application, a felon must disclose information about all felony convictions. No person with a felony will be disqualified by the FAA because of a felony with the exception of drug- and alcohol-related convictions. Failing to disclose crimes in any of these categories will lead to permanent denial because that would constitute a felony. Of course, that is something a felon doesn’t need as it would lead to being incarcerated again. Another challenge will be in finding a position as an air traffic controller. It’s important to be honest when applying for this type of position. If a felony isn’t disclosed but is found on a background check this constitutes fraud and is punishable by jail time. It is a crime to falsify any application. Having their record expunged can give them the chance needed to begin with a clean record and succeed in becoming an air traffic controller. Expungement of a criminal record allows anyone to honestly state on an application that he or she has not been convicted of a crime. It’s a major challenge, but it might be worth it for a felon wanting to become an air traffic controller. To give him or herself the best chance for success by having his or her record expunged and also documenting additional education could make the essential difference. What do you think about this blog post? Have you or someone you know been in the situation of trying to become an air traffic controller with a felony? What was that like for him or her, and how did he or she achieve success? Please tell us in the comments below.